A short piece of interactive fun suitable for any audience. 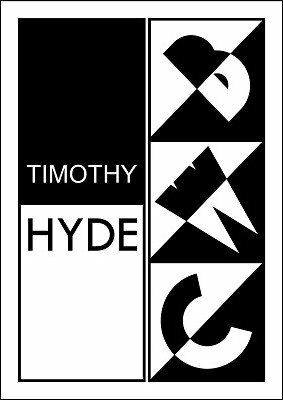 Timothy Hyde has taken an old verbal gag and added a visual prop making it suitable for most audience types from children to corporate. The addition of the visual element means it grabs the attention of the audience, it focuses them on the performer and gets a guaranteed laugh. Importantly it also involves everyone in the audience and lets them know it's OK to participate. Even if you or your audience know the gag already, because BWC approaches it in a completely different manner, with a visual prop, they will still be fooled. Timothy, a professional performer for 40 years, the publisher of MagicCoach newsletter and the Ten Little Secrets series in Vanish magazine is known for his no nonsense audience-tested commercial routines. His bestsellers include - Hunter Knot Revisited , The Secret Note Books of Mr Hyde Volume 1 & 2 and the Expert MC's Resource Manual . This routine is a regular component of his work on luxury cruise ships like the Queen Mary 2 and at his corporate MC assignments worldwide. It is the ultimate Packs Flat Plays Big prop, taking up minimal space in any work case yet can easily work in a theatre of 1000 people . A small amount of DIY is required to make the prop from materials found in any office. Fully illustrated instructions, presentation secrets, scripting and alternative presentations are revealed. And yes, it can be performed in different languages, we already have happy buyers in France, Germany and Norway. It's suitable for Magicians, Clowns, Mentalists, MC's, Speakers and Trainers and can be performed close-up and even impromptu. "Thanks Timothy for sharing a great gag that gets the entire audience participating and laughing! I can't wait to try it out" - Joel Howlett / Full Time Professional Australian Magician.